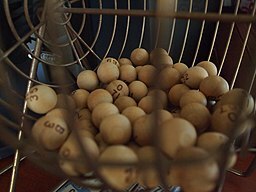 A luxury bingo will be held on Sunday, May 19 at the Clear Spring Activities Building, 12323 Big Spring Rd in Clear Spring. Bingo starts at 1:30. Price is $30 in advance or $35 at the door. Includes a meal, 24 games with 4 specials and tip jars are available. Tickets on sale now. Contact a fair board member. If you are available to volunteer to help make this event a success, contact Richie Hebb at 301-573-9677 or Jason Crawford at 301-573-3080.